(NaturalNews) The official narrative on Zika is a hilarious medical hoax. Millions of people in Brazil and Colombia have carried Zika for decades with no recorded increase in microcephaly cases. Only after a toxic chemical larvacide was dumped into the public water supply did horrific birth defects start to be noticed. Now, the same quack science cabal of Disney, the CDC, the WHO and wealthy drug companies has been whipping up mass hysteria over Zika, a virus that even the CDC admits causes virtually no symptoms, no hospitalizations and no deaths. In response to this mass hysteria rooted in outright medical quackery, authorities have been desperately pushing DEET chemicals as insect repellants. Yet as I have exhaustively documented here on Natural News, DEET is one part of a binary chemical weapon that causes brain damage in humans. Known as "N,N-Diethyl-3-methylbenzamide" from a chemistry point of view, when DEET is combined with carbamate class pesticide chemicals -- which are found everywhere in the food supply -- the result is a "hyper toxic" brain damaging chemical cocktail that radically damages brain function. One of the chemical classes in this binary weapon system is similar to VX Nerve Gas chemical weapons that kill mammals within seconds. This chemical cocktail functions as an "acetylcholinesterase inhibitor," meaning it "paralyzes" brain cells after causing them to be hyper stimulated. The result is cognitive confusion, fear, memory loss and other symptoms that curiously resemble the brain damage we're all told is caused by Zika virus. "Walt Disney World, Universal Orlando and SeaWorld Entertainment will start distributing free insect repellent Sunday," reports the Orland Sentinel. "Fears have escalated about the virus, which is especially dangerous to pregnant women because it can affect fetal brains and cause babies to be born with unusually small heads," says the Sentinel article. Of course, the Sentinel offers no evidence of that assertion. The farcical idea that Zika virus alone is responsible for every microcephaly case in the world is now accepted as a cultural narrative... a "true myth" reinforced by consensus delusion. No evidence is needed to support such statements, you see, because everybody "knows" Zika causes microcephaly. We've all seen the pictures on the news, right? Yet those same news outlets deliberately neglected to report the chemical exposures that led to those brain defects. DEET side effects include "encephalopathy, seizures, movement disorders, coma" which appear "most commonly in children"
Adding to the "oh-my-God-how-f'ing-stupid-are-these-people" effect in all this is the realization that DEET can cause extreme neurological disorders in children. According to this PesticideInfo.org reference page, DEET "toxicity is primarily neurologic (encephalopathy, seizures, movement disorders, coma) and may occur via oral or dermal exposure, most commonly in children." You got that? It occurs from "dermal exposure" (i.e. putting it on your skin) and appears "most commonly in children" and can result in "seizures" and "encephalopathy" in those children. Well golly, that makes it the perfect chemical for Disney World! Let's just spray all the children and put free DEET sprays in all the rooms, and see what happens! - Eye and mucous membrane irritation. - Ingestion can cause CNS disturbances. - Desquamation about the nose, dryness of face, a slight tingling sensation. Contact urticaria. - Toxicity is primarily neurologic (encephalopathy, seizures, movement disorders, coma) and may occur via oral or dermal exposure, most commonly in children. - Bradycardia is rare but has been reported after dermal exposure to deet. Hypotension has been reported after large ingestions. - Eye contact may result in a smarting sensation. A burning sensation of the lips, tongue and mouth may be noted. - Confusion, ataxia, hypertonicity, and clonic jerking progressing to coma and seizures may occur after acute oral or chronic dermal exposure. - Abdominal pain, nausea and vomiting. I want to bring you attention to this line: "Confusion, ataxia, hypertonicity, and clonic jerking progressing to coma and seizures may occur after acute oral or chronic dermal exposure." Sounds like just another wonderful day at Disney, doesn't it? 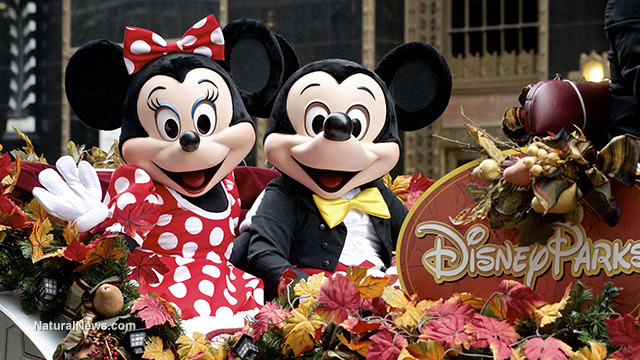 It's no surprise that Disney -- a globalist propaganda conglomerate that uses entertainment as a vector for controlling belief systems by installing false cultural narratives via film -- is engaged in the mass chemical poisoning of children in Florida. This is the same globalist group that was at the epicenter of the staged measles outbreak at Disneyland in California: An epidemiological "false flag" that was timed and engineered to push for the passage of SB 277, the new state law that forces immunizations on parents via threat of criminalization and denial of access to public education. SB 277 is, of course, a violation of fundamental human rights while simultaneously violating women's rights, parental rights and basic medical ethics. See Vaccine industry social influence document reveals attempted bribery of 'key social influencers' such as Disney / Marvel, ESPN, Oprah and a CNN reporter to learn more about how the criminally operated vaccine industry leverages large social influencers like Disney to push medical quackery combined with demands for absolute social obedience. As we now know, Disney played a key role in all that by serving as "ground zero" for the massive, exhaustive media fear campaign which condemned un-vaccinated children as virus-carrying criminals to be targeted for forced injections of toxic substances which still include brain damaging mercury. 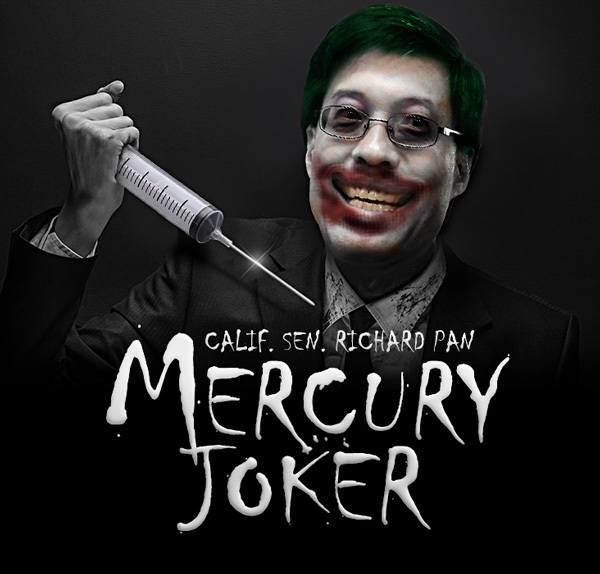 SB 277's pharma whore, state sen. Richard Pan, received huge donations from pharma right before the measles "outbreak" at Disneyland. Magically, the full text for SB 277 had already been pre-written and was quickly ushered into the legislative process, buoyed by the massive media info-terrorism campaign that was timed to spread Disneyland fear for maximum impact. They don't call it the "Magical Kingdom" for nothing. Now, Zika fear mongering is following the exact same model of social manipulation and medical quackery. The role of the media is to whip up maximum fear followed by the widespread condemnation of actual science that questions the false narratives. Soon, we're going to see parents who refuse to poison their children with DEET condemned as irresponsible citizens, then possibly forced to apply brain damaging chemicals to the skin of their own children by order of the state. The U.S. government, by the way, has a long history of conducting chemical medical experiments on its own citizens. The truth is, no one is safe when medical quackery combines with totalitarian government to criminalize parents who refuse to poison their own children. And that's exactly what it has come to in America today. The Zika hoax accomplishes the exact same thing as the measles hoax and the bird flu hoax: The forced mass obedience of the population to the medical dictators who poison children by design. Free chemical weapons in every hotel room... spray all your children! "Tourism experts and Gov. Rick Scott applauded the theme parks' move," reports the Orlando Sentinel, because of course Gov. Rick Scott is scientifically illiterate and does whatever the science dictators tell him to do. "Disney will offer free pump bottles and towelettes at its theme parks, Disney Springs and ESPN Wide World of Sports. Hotel rooms will have aerosol bug spray. Signs at the resort will inform visitors that repellent and protective clothing can help them avoid mosquito bites," continues the Sentinel. It makes me wonder why Disney World doesn't post Zika Free Zone signs all over the park, to keep out the mosquitoes without having to use any chemicals at all. After all, if "Gun Free Zone" signs are supposed to reduce shootings, then it only seems logical that "Zika Free Zone" signs would halt Zika virus infections, right? That's how stupid the status quo has become, by the way. Most people literally believe in scientific voodoo, thinking that signs alone can stop mass murderers, or that all shrunken brains are caused by Zika virus. Now, the Zika brainwashing is so extensive that Disney is actually placing DEET chemical weapons in the rooms of its resorts, so that parents can spray their children before they go outside to be eaten by alligators. Oh, by the way, DEET is also toxic to alligators. If you do spray your children with DEET, please don't feed them to the gators. DEET is toxic to aquatic ecosystems... so SeaWorld is handing it out for free! Adding to the hilarity and insanity of this entire situation, DEET is also toxic to aquatic ecosystems. So of course, "SeaWorld will provide it at its three Orlando theme and water parks, along with Busch Gardens and Adventure Island in Tampa," reports the Orlando Sentinel. As this Sigma-Aldrich safety sheet explains, DEET demonstrates "Acute aquatic toxicity (Category 3)" and is "Harmful to aquatic life with long lasting effects." That same document also explains that DEET shows "toxicity to fish" and is "Harmful to aquatic life." The geniuses at SeaWorld -- who also commit horrific animal rights abuses against intelligent whales, enslaving them for the amusement of stupid humans -- think that it's an awesome idea to spray an aquatic toxin all over the SeaWorld park in an effort to kill mosquitoes that pose no significant risk to children whatsoever. Once the children start showing seizures and neurological problems, the complicit media will blame it all on Zika! And here's the most grotesque chapter in all this: Once all these children who visited Disney World start to suffer neurological disorders, seizures, comas or similar side effects caused by DEET, the complicit mainstream media will, predictably, blame it all on Zika! Once that happens, the call will go out for MORE spraying, more DEET, more chemical bombardment of everyone... and the brain damage will escalate in an expanding cycle of what can only be called "the chemical suicide of the human race." I hope you understand at this point that all mainstream "official sources" -- government experts, mainstream scientists, mainstream journalists and politicians -- are all irredeemably stupid beyond belief. They are literally poisoning the brains of children and calling it "safety" against a wildly exaggerated, hyped-up threat (Zika virus). It makes you wonder just how much brain damage has already taken place among Disney executives who might be using DEET on their own skin. Are these people stupid? Or is this all deliberate and they're really just evil? It's impossible to know the answer to that, of course. But one thing we can all agree on is to keep your children away from Disney at all costs, as Disney has now become a proponent of chemical child abuse while serving as a key influencer to push provably false medical quackery and scientific totalitarianism.